Change is a natural occurrence of life. I view change as synonymous with growth. Many of us are afraid of change. It can feel uncomfortable to change your daily routine or surroundings. Nothing in this life stays the same. Each of us is on our own journey. A journey is defined as going somewhere. Going somewhere entails moving from one place to another. If we are moving forward, it is only natural that the “scenery” around us begins to change. In order to live a fulfilled life, it is necessary to embrace every situation that you might find yourself in with the intention of learning from each one. Once you embrace change as not only a natural , but necessary process, life ,in its entirety, begins to take on a deeper meaning. It’s like switching from regular television to higher definition television. You begin to pay attention. Your experiences become “realer” and what you witness, more vivid. The little things become more important. No experience is taken for granted. There is a greater appreciation simply for having the opportunity to live. Although it may not be easy,you are certain to come out better on the other side of it. There is no need to fear. Fear is based on assumptions. There are no absolutes. To give in to the fear of change is to halt your growth. If you are not growing, you are dying, period. Without change ,there is no evolution. The lack of evolution(change) leads to stagnation and death. This cannot happen. You have the power within you to prevent it from happening. The ability to evolve is deeply embedded in your DNA. You are designed to be a master not be mastered. If you are currently “crippled” by fear, now is the time to solve the problem. Let’s look at some possible solutions. Focus on the opportunity to learn. Learn from the situation presented to you. Learn more about yourself based upon your response to what you just witnessed. Did you react in a way that was unexpected? Change happens to all of us. It is a natural process of the cycle of life. You don’t have to be a victim. Certain life changes are challenging, perhaps, traumatic and heartbreaking. I have had my share. There is only , but so much crying,cursing and arguing that you can do. Life goes on. Resourcefulness is a valuable skill. At some point, if you are still breathing, it will be time to move on. There is no getting around it.Make the most out of the transition. Consciously look for the lesson. Be determined to , ultimately, be better from the experience. Although it may seem like we can’t control certain events that occur in our lives, we can learn to control our emotional response. There is no need to fear. 2. Don’t allow outside circumstances to define you. Remember that you are a creator by nature. You create based on your emotional and physical reactions. They determine what and who appears in your life. You are THE creator , therefore , every thought or word that stems from you MUST have a direct effect on the outcome of any situation. Choose your thoughts and words wisely. Be patient. Time is an illusion. Relish in the knowing that whatever you put out must come back to you. It is the “law”. You define the circumstances. Expect blessings even if what is transpiring seems like a curse. Once you have established this truth about who you are and what you are capable of , what is there to fear? You begin to realize that whatever and whoever appears in your life, regardless of the appearance, comes to “serve” you in some way. It is never the end of the world. Besides, if it was, nothing else would really matter would it? We are more resilient than we give ourselves credit for. It is okay to feel sad, scared, uncomfortable, alarmed, etc. The problem arises once you dwell in that state. It becomes unhealthy. If you are constantly “navel gazing”, you might miss the opportunities presented right in front of you. You have probably experienced countless numbers of changes in your life. Perhaps some of them were devastating for you and , yet , you are still here. Don’t underestimate your level of strength. 4. Celebrate being alive simply because you are. You are infinite spirit having a finite human experience. The purpose is to EXPERIENCE. You are encased in this vehicle called a human body in order to properly and effectively navigate this “material” realm. Actually, this realm is an illusion too. All that there truly is is 1)consciousness and 2)energy. You are connected to every person and thing in creation. This is reality. You are infinite ,eternal energy constantly materializing and dematerializing in and out of form. You have the innate ability to develop your own awareness of this truth. No situation is permanent, but you are!! That is , not as a human, but as infinite energetic consciousness possessing the power to shape and mold your reality. Is that cool or what?!! Imagine if you lived each day relishing in this fact. You get to breath, eat, see, smell, hear, feel, cry, laugh etc. You get to interact with others within this physical world. They are all extensions of you. Nothing here is permanent. Learn to take full advantage of each experience that you get to have . Fear nothing. There is no such thing as true death. There is merely transition. Energy never dissipates rather it simply changes form. You will have a countless number of experiences. Cherish each one. If everything around you is an illusion, fear of anything is based on “lies”. Ideally, I would think that each of us would want to have the best experience possible. I get it. Personally, I think that as humans, we have to stop taking ourselves so seriously. Eventually, it will be “time” to exit your vehicle i.e. your body. Until then, why not make it a point to enjoy the ride? Perhaps, you will enter another vehicle. I don’t know. Does it matter? All that you truly have is now… eternal NOW. As human beings, for most of us, it is a natural inclination to socialize. For many of us , we love to have friends. We like the idea of being popular as well as liked by others. Having healthy relationships contributes towards our personal growth. They help to improve our quality of life. When this happens, life can become more fulfilling for us. That being said, there are also numerous benefits to being comfortable with being by your self. As beneficial as having relationships is, it is arguably more important to be able to enjoy solitude. According to an article in the Huffington Post, 1 in 3 adults in the United States they fear being alone. In another article featured in the Journal of Personality and Social Psychology it was stated that fear of being single may drive adults to either stay in toxic relationships or settle for partners below their standard. Life is too short to be crippled by fear of anything. You are not designed to be overpowered. Surrendering to your fears halts your growth. Fear is meant to be managed and mastered. Although it can be a problem,it comes with a solution. Problems and solutions are opposite sides of the same coin. Let’s look at several possible solutions that others have used to overcome their fear of being alone. Use your time alone to research topics that you are interested in learning more about. Perhaps there are hobbies that you used to engage in earlier in your life. If not, a quick google search can open up “doors” to potentially unlimited opportunities. You need to keep your mind engaged. Hobbies are great for our personal development. Once you start pursuing them , eventually, you will improve. Once you start improving, you might start developing stronger self esteem. You begin to expand your capabilities which can strengthen your sense of self worth. 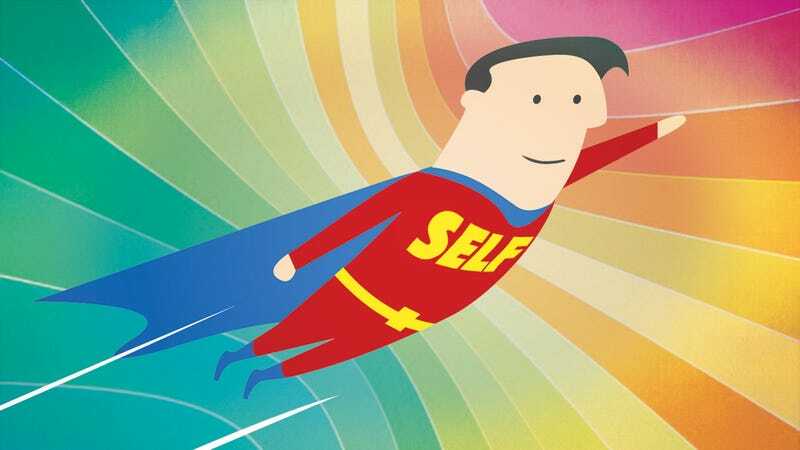 People who possess high levels of self esteem tend not to struggle with fear of loneliness. They are comfortable in their own skin. They know how to entertain themselves and do not require someone else to complete them. Surround yourself with people that genuinely like you for you are. This group also includes family members. Certain family members may love you, but not necessarily like you because you don’t “fit” the mold that THEY have created for you. That’s their business. Establish relationships with people who love you for who you are. You support one another and enjoy each others company. You also respect each others space. There are many of us that grew up in toxic, abusive environments. Consciously and subconsciously, these experiences shape who we become. Perhaps you are involved in a relationship with someone who is controlling or grew up with an abusive, overbearing parent. If we are not mindful, these experiences condition us to think that those type of relationships are normal. We attach our personal identity to them. We can go throughout our entire lives attracting the same type of character perpetuating the same dysfunctional cycle over and over again. In theses cases, it is better to be alone. Why associate yourself with people who sap your energy? Nourishing relationships empower you. You empower one another. You live other feeling better yourself ,them and life, in general. A good sign of an enriching relationship is anticipation for your next meeting. You appreciate one another and enjoy spending time together, but neither of you are the center of the other persons’ life. A person who has invested in relationships that prove constructive and empowering never truly feel alone even when they are by themselves. Look for clubs to join. If you decide to establish a long term hobby that keeps you engaged, look for a meetup group consisting of like minded people. Go to concerts or social events. Search online for social events in your community that are either free or low cost. Join a gym. Regardless of what you decide to join, always remember that you tend to attract who you are. I can’t stress enough the importance of being comfortable with who you are as an individual. This is important. Remember that you are already complete, therefore, you are not lacking anything. Own it. If not, you position yourself to attract people who do not have your best interest at heart. Beware of the energy drainers and dream killers. Never settle. Helping others can give you a sense of purpose. We tend to feel fulfilled when others look up to us for assistance and guidance. Life becomes more meaningful. Serving others empowers . We begin to appreciate life more. We become more grateful for what we have. It takes our focus off of our own challenges. Regardless of where you are in life, there are others that can benefit from your wisdom and help. You might not consider yourself wise, but you are. Your “wisdom” is your life , personality and perspective . Look for opportunities to share it with others. Both the giver of kindness and recipient of it benefit. Serving is a solution for loneliness for all parties involved. Everybody wins. In conclusion, it is unnatural for any of us to be mastered by anything. Freedom , in all of its forms, is your birthright. You are each here to live on purpose. If you allow it to,fear will cripple you right where you stand. When you face your fear, acknowledge it ,yet decide to do what scares you anyway, you begin to take your power back. Again, although fear is natural, it must be managed. Fear management leads to fear mastery. Mastery leads to freedom. “Freedom to do what?”, you might ask. Freedom to live your best life… on your own terms. To live this way, is to live your truth. This is what the worlds needs. It needs more people to have the courage to live their truth. They are the changemakers. It is up to the changemakers to save the world. Power to the changemakers… Conquer your fear…. Until next time..
You have a message. Your “message” is your life. You determine how impactful your message is to the world. According to BrandonGraille.com, an estimated 5.3 million Americans suffer from social phobia, 74% of that group from speech anxiety. Based on my own research and practice, I have identified several key steps that have personally helped me to overcome this fear in my own life. My confidence in this area has grown so much that I actually aspire to be a full time professional speaker. Practice,practice and practice more. Research your topic so that when you speak about it, you speak with authority. Your speech should sound as natural as possible. You don’t need to have a doctorate on the topic, but you do need to be prepared. More times than not, you will be more knowledgeable on the topic than your listeners. They are expecting to learn something about the topic from you. You don’t have to know everything that there is to know about a topic. As a rule of thumb, focus on being a step ahead of the average knowledge level of your audience. Focus on one person at a time. It is easy to get overwhelmed especially when speaking in front of a large group. Scan the room . Look for a “kind” face. I would go as far as inviting a close friend or relative to attend the event. They can be your point person. Once you find that individual, their reactions to your words can serve to help you to relax. It is also important to remember that you are not the first person to have gotten nervous speaking in front of a group. Speaking gets easier with practice. Even seasoned speakers get nervous. They learn to manage their fear. They do not allow it to cripple them. Your audience was not with you when you were creating nor practicing the speech. You will be the recognized authority. If you have given yourself enough time to practice, you should have enough information stored in your brain to “wing” it if you have to. This speaking can only be acquired through constant practice. You rehearse your speech until it is embedded in your spirit. Research the topic and as much as possible, find out as much information as you can about your audience. You are delivering a message that is ideally catered to your listeners. Always remember to take the focus off you. The goal is to connect with your audience. Taking the focus of off your performance and more on the needs of the people you are speaking to can ease the stress of speaking before a group. Focus on sharing the message. The group that you will be speaking to need to hear what you have to say. You have important information to share and you are the perfect one to do it. One thing is for certain. Regardless of what the fear is, you must be willing to face it in order to overcome it. It is natural to feel afraid, at times. The problem arises once we allow the fear to cripple us. Overcoming our fears leads to growth. You were born to conquer not to be conquered. When we muster up the courage to face our challenges, those that observe us are inspired to face theirs. You are never truly alone. 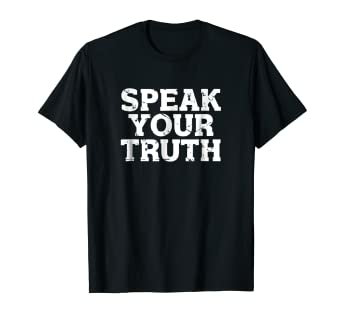 The world needs to hear what you have to say. Count on it. Until next time. Well, are you? What if your situation worked out better than you could have ever imagined it? Now what?!! You have never gotten that far before. Take courage. The reality is that there is never truly an arrival.There is no fool proof preparation for success. Whether you succeed or fail, the same truth remains. You learn as you go. Having all of the answers has never been a prequalification for success. I have learned to find comfort in that statement. Each of us us a work in progress. Absolutely no one has every part of their life perfect. There is always work to do and goals to accomplish. As humans , we are designed to evolve. Be determined to be an active participant in your own growth process. If you knew all of the answers to all of the potential problems of life, there would be no room for growth. Uncertainty, struggle and stress have a purpose.Figuring life out as it happens is the ideal training camp for living your best life. Learn from the past then release the rest. The future hasn’t gotten here yet and when it does come , it will still be your present moment. Get it? The present is all any of us will ever have. Being fully engaged and conscious of your current situation frees up your subconscious to identify potential solutions to your most pending concerns. I have discovered answers to my most perplexing problems while focused on mundane activities such as washing dishes or folding laundry. Do an experiment. Ask yourself a question about a situation that has been nagging you for a while. Go about your daily routine and pay attention to what inspiration is sparked at any moment. Ask the question and let it go not worrying about the outcome. See what happens. Books about accomplishing goals are a dime a dozen. Although I wholeheartedly support the practice of setting goals and accomplishing them, it is the journey to accomplishment that “makes” you. This is especially the case for major goals. You have to grow as a person in order to reach them. As humans, we are designed for growth and evolution or change. We do this through our experiences. We can train our minds to look for the opportunities for learning through the practicing staying in the moment. Each day and situation comes with a lesson that can serve you in some way to become stronger , wiser and more prosperous. This practice is necessary for living your best life. Each experience , despite the circumstance, has a benefit. Become a student of life. Once this happens, you will develop a natural inclination for looking forward to each event that you are faced with. Each moment starts to have significant meaning to you. You become more level headed and optimistic about life. This mindset helps you to draw more meaningful and positive situations as well as people in to your “living space. Life becomes more fulfilled while each day becomes an adventure. You begin to appreciate life as it is. You deal with life situations directly while engaging yourself fully in them. This doesn’t mean that you won’t ever feel afraid. It means that fear will no longer define you. You will be aware of it and, yet, will continue to move forward in your life. Whether facing success or failure, you have conditioned yourself to find the “blessings” in both. At that point you become unstoppable. This is your true destiny. Yes, I’m overkilling in order to make my point: You are destined for “awesomeness.” Nothing less. Remember that!!! 🙂 Until next time…. Fear is part of life. It’s natural to be afraid of the unknown. We tend to overthink about possible outcomes that , most of the time, never happen. Personally, I have years of experience with this type of fear. I have spent many years ” on the fence” between living the life that I was taught I was supposed to be living and living life on my own terms. It took me potentially facing ALL of my worst fears at the same time! Life as I knew it was shattering before my eyes and I felt as if I could not do a damn thing about it. I couldn’t get a break. I kept waiting for life to get easier, but each day came with one challenge after the other. I had just lost my job.My marriage was failing . I was broke and facing homelessness. To top it all off, I was depressed to the point of being suicidal. I felt like the poster boy for failure.It felt like the end of the world. It wasn’t. It was only the end of the world as I knew it. It might seem like it at times. Perhaps , you might even want it to be so that you might finally experience some form of peace. I remember , at times, lying down to take a nap only to wake up gasping for air. I was having panic attacks. It was like my mind and body were constantly asking “Damn,what’s next?!!”. I wanted to be out of the situation that I was in, yet I was afraid to move forward. I began to anticipate more challenges. These thoughts temporarily consumed me… temporarily. Each day I felt that I was walking on egg shells anticipating the next “defeat”. After a while, I became calloused. I had started to develop thick skin. Although I still felt afraid, I had become comfortable being uncomfortable. I had to move forward with the fear. I learned to manage it. I figured out that it is never truly the end of the world. The next day will come. Besides , if it didn’t come, whatever else was in front of me ,at that moment, I would still need to deal with anyway. Other than that realization, I decided to keep moving forward. Consider the worst case scenario. We are more resilient than we tend to give ourselves credit for. Human beings can go through some pretty heinous situations and bounce right back. In many cases, we come back stronger and wiser due to the experience. As we are going through it, it might seem unbearable. Some how, some way it works out. At times, it seems like a blur because it is just that painful. Nevertheless, we get through it. There are countless stories of individuals who have overcome seemingly insurmountable odds to become phenomenal successes in various fields. They end up being trailblazers. I am willing to bet that each one of them experienced fear. They might have allowed themselves to doubt for a moment, but they never stayed there. I have concluded that every problem has a solution. I might not know what it is at that moment, but I am certain that there is one. I have learned to acknowledge fear without allowing it to define me. I will not allow anything or anyone to determine my self worth or potential. I will be mastered by nothing. Fear has to keep up with me. Never allow fear to cripple you. It might seem as if you have no control over your circumstances, but you damn well can develop mastery over your emotions. Your emotions determine your actions. You define who you are as well as who you are becoming. As long as you are breathing, the next day will come. Be determined to grow from your current circumstance. On to the next adventure..
You can’t base your life decisions on what other people think you should do. I am not implying that mentors are not beneficial, but , ultimately, you have to make your own decisions. As I wrote earlier, most pioneers of any industry had to have the courage to follow their own “gut” intuition and create their own plan. This doesn’t mean that they didn’t require help, at certain points, to achieve their goals. The implication is that they took responsibility for fulfilling their own destiny. In many cases, they faced harsh criticism form the naysayers and “experts”. Nevertheless, they remained devoted to the realization of their vision. In the end, their courage, faith , commitment and work ethic paid off. They became astonishingly successful. They silenced all of the naysayers and retired the “experts” becoming the new authority in their field. Many of them literally changed the world with their ideas, products and services. If others don’t support your dream, don’t get upset. It’s YOUR dream. They will see it when it is realized. Learn to use criticism as fuel for fulfilling your greatest vision. Always dream BIG. You might end up surprising yourself. Enough said. Until next time…. There is no growth without challenges. As human beings , we are designed to evolve. Overall, as a species,we are not meant to stay stagnant. We evolve as a means of adapting to changing circumstances and environments. More times than not, it is deemed necessary for us to change in order to adapt to our new situation so that we can thrive within it. It can be uncomfortable. For this reason, in order to consistently grow , we can each benefit from becoming comfortable being uncomfortable. Anyone who has experienced true success in life did so after overcoming seemingly insurmountable challenges. As a result, they became wiser and more focused. Challenges serve us because they help you to realize what is most important to you. I reflect back on my struggles, especially the ones that I have experienced in the past 4+ years. They have both shaped my character while simultaneously solidifying my life vision. I am better because of them. I went from homeless, depressed(suicidal) and unemployed to Motivational Speaker, Author, Life Coach and Entrepreneur. I’m not done yet. Through my challenges, I realized that it is never , ever truly the end of the world. It is only the beginning of a new one. Life never stops only life as we knew it does. Neale Donald Walsch, author of the Conversations With God Series, while inquiring with God about the reason for challenges was told, “I have sent you nothing but angels.” The bible teaches that angels were created to be both messengers for God and to serve humankind. Everything that appears in our lives comes to “serve” us in some way. It is a matter of perspective. As a disclaimer, contrary to the language that I am using in this blog, I am not religious. I am simply using religious terms that I believe a good number of us might have heard before whether through our parents, grandparents, television, church or otherwise in order to make a point. The term “angels” can refer to messages , positive or negative, that we believe about ourselves, others or our world. The term “God” doesn’t necessarily refer to a being outside of us. I believe that each of us represent unique aspects of the whole including everything around us both “things” seemingly inanimated as well as animated. Nothing is truly separate from anything else. We are one. We are each a creator as well as being one with the creator. Again, this is my opinion. Don’t worry. I am not trying to “convert” you. I’m just saying.. In conclusion, I have come to the the realization, that each situation that I find myself in is a blessing. When I use the word “blessing” I am referring to the fact that , ultimately, I look for what I deem is the greatest good in whatever experience I find myself going through at that particular moment.Through each circumstance, I have learned to ask God to show me the lesson so that I can become more like Him. I have never been disappointed. More challenges leads to more growth. With more growth, I become more prepared for my purpose here on Earth. I believe that we each have one . Until next time..
We have all experienced fear at some point in our lives. Fear in and of itself is not necessarily bad. How it effects us is determined by how we both view and deal with it. Based on our different perspectives, fear can either motivate or cripple us. Fear must be managed in order to be useful. According to one entrepreneur, fear is due to the temporary lack of information. In many cases , it can be due to the acquiring of wrong information. This definition best supports the popular acronym for fear which is False Evidence Appearing Real. Nearly 15-20% of human beings experience specific phobias or fears at least once in their lives. In the U.S., 8.7% of people ( ages 18 or older) have at least one extreme specific fear. Imagine how much more empowered each of those individuals would be if they were to overcome their fears. It would like breaking out of their own mental/emotional prison. How much more fulfilling would their lives become due to their courage in facing their fear and overcoming it? Actually, a definition of courage is to move forward towards a destination or accomplishment of a goal despite feeling afraid. Once we decide to do this, we take back our power. We start to realize that what we were afraid of didn’t deserve the “respect” that we gave it regardless of what “it” is. Through my research, I have identified five of the most common fears that people suffer from as well as possible solutions for each one. I have personal experience with this type of fear. Fear of failure can stop you in your tracks if you allow it . You constantly ask yourself , “What if?”, “What if I fail?”, What if I can’t find another job?,” If I invest in this business or quit my current job to pursue my dreams, how will I support my family?”, ” Will my family say?”. As the old expression goes, “Been there, done that… Brought back a tshirt!” It is one thing to be wise. It is a whole other thing to “hide” behind fear disguised as wisdom. Fear, if not addressed, will run deep. Although it’s foundation is based on lies, exaggerations, half truths and ignorance, it will cripple you. Years of your life will pass by without making any significant progress in life. True success is not determined by your bank account, popularity or the number of “toys” that you possess. None of those things will matter on your death bed. Life is meant to be lived fulfilled. Fulfillment is achieved through living authentically. In order to live your truth,you must be courageous. As long as you are breathing you are moving forward while actively engaged in your own creation process. This lifestyle is not for the fainthearted nor the people pleaser. Let’s look at possible solutions to overcoming this fear. I think I struggle with this myself. I discovered eight behaviors associated with this fear only to realize that I have been suffering with all of them. It feels like someone punched me square in the chest. It even took my breath away a little bit. As I researched further, I discovered that this fear is very common. What if I achieve what I set out to do? Will I be able to handle it? Many questions run through my mind. The bottom line is that I won’t know until I get there. Life is full of challenges and it’s okay. I have come to the conclusion that in order to get the most out of life one must be willing to experience every aspect of it. Expect adversities in all forms. In order to truly get the most out of this life, it is necessary to get comfortable being uncomfortable. Success comes with its own set of challenges like any other experience in life. 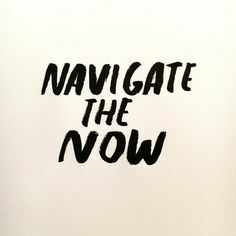 Stay present and determined to get the most out of whatever situation you find yourself in at the moment. Bring your “A” game to each event that shows up in your life. Look for the lesson and commit yourself to learn from it. To learn is to grow. To grow is to win. You will find that your life experiences will become that much richer. At the end of your life, none of the accolades will matter. All that will count will be your relationships and experiences. You take your experiences with you. Your relationships will determine your legacy. A true determiner of success is the impact that you had on people’s lives. Be sure to let the people know that are close to you how much you appreciate them. No one achieves success on their own. If you surround yourself with people that know that you care about them, they will tend to stay loyal to you. They will both support and protect you. The fear of public speaking is rampant within human society anywhere in the world today. According to Brandon Gaille at www.brandongaille.com,, it is estimated that 5.3 million Americans suffer from a social phobia. Around 74% of Americans suffer from speech anxiety. It is the greatest fear that people have, even greater than spiders and death. At any given time, 5% of the world’s population suffer from the fear of speaking. It can have a direct impact on how much money you make at your job or business. If you cannot express your ideas clearly and to the right people , you will limit your scope of influence. At this moment, you might have an idea inside of you that people within your local area ,if not much broader, need to know. You do both yourself and others a great disservice not sharing your ideas . Not only does your input , potentially, help others , but you might benefit significantly from others feedback. Never compromise yourself!! You deserve to have relationships in your life that nourish you. Surround yourself with positive people. Expect the best both from and for yourself as well as from others. If you find yourself alone there is no need to be afraid. Know your worth and trust that the universe will send the right people to your doorstep. Love yourself and your experiences will start to mirror this mindset. Your life is a reflection of how you view yourself, others and your world around you. Know your worth. See this time as preparation for your next relationship.. In order to truly build functional relationships, you must first learn to love yourself before you can adequately share yourself with another. You are a creator. Never underestimate your worth. Change can be scary for any of us. As humans, we tend to get comfortable in certain situations even if those situations aren’t the best for us. If we are not careful,it is easy for any of us to become creatures of both habit and routine. Change is a natural part of life. Nothing stays the same nor is it supposed to. With change, comes the opportunity for growth. Human beings are designed to evolve. The word “evolve” refers to change, adaptation, development or progress. All of these descriptions are positive. If something is not advancing or developing, it is stagnant. Being stagnant leads to death. Expect the best from yourself. Be determined to live your best life on your terms. This is fulfillment. In this post, I chose to only focus on five fears. In future posts, after further research , I will elaborate more about possible solutions to overcoming these fears. As a disclaimer, I am not a therapist nor have I ever claimed to be one. I am someone who realizes that his personal passion is inspiring others to go within themselves in order to discover their own personal authentic power. To this end , I will continue to use my words, both spoken and written, as well as my life to inspire as many people as possible to accomplish this end. Until next time.. This life is too short to live it for other people. You do both yourself and others a disservice by doing so. Why live your life walking on egg shells around people that might not give a damn about you? You have more to give this world than you could even begin to wrap your head around. Too many of us allow ourselves to be influenced by our surroundings, the media and other people. It is time to stand up and lead. My definition of a leader is someone who stands by their convictions no matter who disagrees with them. They are both comfortable and confident in their own skin. They are their own one man/one woman movement. They don’t need a following to “lead”. They are not arrogant. They realize that there is always something to learn and people to learn from. They appreciate the value of mentorship ,yet they never put people on pedestals. They are focused on accomplishing their goals and never,ever give up. As long as they are breathing, they are learning, evolving , overcoming and thriving. They maintain an active role in designing their own lifestyle based on their terms. This is a true definition of freedom. They claim their own destiny free of the need to be accepted by the masses. As I wrote earlier, they are their own movement. Now it’s your turn. First, let’s do a “gut check”. We need to flesh out any people pleasing tendencies that you might not be aware of yet. I have identified certain traits. Perhaps some will be familiar to you. I will present each one as a question. Here we go. 1)Are you a “yes person”? 2)Do you avoid sharing your opinion? Perhaps I should ask ,”Are you afraid to share your opinion?” Do you sincerely believe that your opinion has value for others. How will you know if you never share it? When a person decides to be authentic, in many cases, their actions tend to inspire others to be real. Do not be afraid to look “stupid”. You might add a new insight to a situation that might be needed. Never underestimate your value even if others do. In order to truly be successful, you must become your greatest cheerleader. 3)Do you worry about hurting other’s people’s feelings more than valuing your own? I’m not implying that you intentionally aim to hurt others. Try your best to get along with others shouldn’t require you to suffer emotionally in the process. A rule of thumb that I live by is the golden rule which states “Treat others the way that you want to be treated.” I strongly believe that if we each consciously lived by that creed, our thoughts and actions would ignite a ripple effect that span the globe. It would literally change the world! The entire human population would benefit. It is impossible to live your life afraid of offending others . How would you ever realize your full potential? Never shrink back from sharing your original ideas . You matter just as much as anyone else on this planet. Don’t forfeit your power. The world needs to hear what you have to say. 4)Are you terrified of others not liking you? Treating others the way that you want to be treated will always be good enough. Period. If someone doesn’t like you even though you have never intentionally set out to hurt them, that is their business. Keep moving forward. No human being should ever live their life based on fear. Recently, I read an article online on the Huffington Post website titled “The Need to be Liked.” It was written by Psychologist Roger Corin Phd. He “guesstimated” that out of the 7 billion people on the planet, about roughly 20 percent didn’t like him or , for that matter, anyone else. He calculated that amount to be around 1.4 billion people. He chose to focus on the 5.6 billion people left over that did like him. The conclusion was that he would be okay with those odds. You should too. 5)Are you terrified of being alone? It is better to be alone than to have toxic , draining relationships. You have too much to offer to settle for anything less than adequate associations. Life is too short. Surround yourself with high energy people while making sure that your energy is reciprocating theirs. You want to associate yourself with people who have their own minds yet are open minded to hearing other points of view. Connect with others that not only accept ,but embrace you as you are. You are and will always be good enough. If someone else doesn’t think so, they are not worth your time. Hold no grudges. They do more harm to you than the individual(s) that hurt you. Learn to wish them well and move on…. quickly!! People pleasers are not genuinely happy people. How can you be happy basing your self worth on the opinion of others. Choose to be happy, empowered and free of the need to be approved by others. Life becomes a vicious, dysfunctional, self deprecating cycle if we continue to devalue ourselves. In all of human history,there has never been nor will there ever be anyone quite like you. You are unique. The world needs you to be exactly as you are. No filter. Know your worth. Until next time…. There is a difference between the two. First of all, let me state that it is my opinion that mental slavery is far worse than physical slavery will ever be. This is a point that I have stated on earlier blog posts. One term liberates while the other subjugates. One process can be very subtle , yet debilitating. The other , if effective, can impact generations for the better whether within a single family or society at large. As a disclaimer, the following points are simply my opinion. My intention is to offer food for thought. Yeah, I know that went a little crazy with the images. I’m going to go into detail about why I selected each one. Notice the ongoing theme. 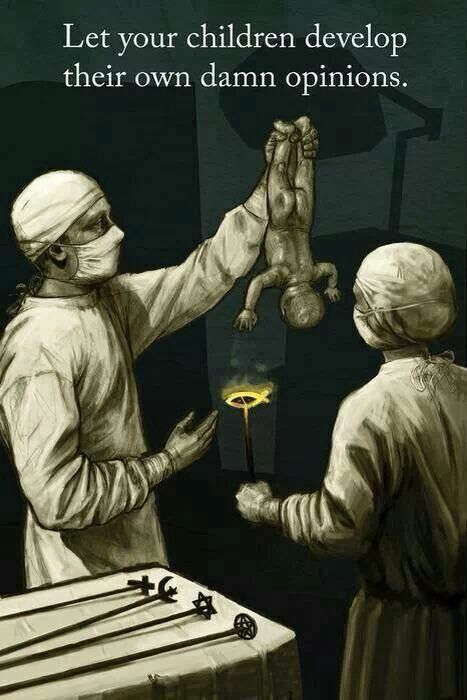 Indoctrination starts with the children. We each come into this world an empty slate yet by the time we reach five years of age, many of us have already developed certain perspectives or habits already. At that point, they have been ” branded” into our psyches. We aren’t even aware of how much we have been influenced by outside sources( media, environment, family,etc). All over the world, human beings have been indoctrinated into various systems while remaining clueless about the origin of these systems. There are several systems that I have identified , specifically, 1)Government System, 2)Education System,3)Religious System,4)Media,5)Business System and Healthcare System. It is my opinion that a system should exist for the sole purpose of improving the lives of the citizens that participate in it. For this reason, I believe that each one should be consistently evaluated on it’s effectiveness concerning this end. Generally, if a system is outdated, change it…period. We are each called to be independent, critical thinkers free to realize our highest potential in every area of our lives. Self realization is the ultimate goal for any sentient being. This is an ongoing process with no arrival. Our potential is practically unlimited. It is time for each of us to open our eyes. As human beings, it is our birthright to be free. Personally, I have been an educator for over twenty years and , in that time, I have worked with various populations. Previously, I worked in the prison system as part of a reentry program. I served as a G.E.D. Instructor and tutor . I took advantage of this opportunity to speak to the inmates about the importance of training their minds to have a positive mindset. I shared with them my conviction that they had already “imprisoned” themselves in their minds long before they were sentenced to a physical prison. They had become products of their environment. Most were exposed to disfunctional families, abusive households, drug addiction , alcoholism , or street gangs. Many were part of a gang while they were in prison. In most cases , inmates didn’t have much of a choice either way. You either joined a gang or you were killed. The environment fostered intense, ongoing negativity. I stressed the importance of each individual taking responsibility for their actions. I spoke to them about the power of their thoughts and how they each possessed the ability within themselves to master their thoughts. I talked to them about the benefit of self education and goal setting. Many inmates get released back into society only to return due to falling into the same habits that got them arrested in the first place. Self realization is necessary in order to break the vicious cycle of self sabotage. As I have mentioned earlier in previous posts, mental slavery will always be far more damaging than physical slavery will ever be. Although freedom is our birthright, we are constantly being bombarded by outside forces( media, internet, peers, family members, etc) in order to influence us to think a certain way about our community, country, various products, and ,ultimately, ourselves.. We are the only ones that have the power to free ourselves by freeing our minds. The root of the word education is derived from the Latin words Educare, Educere and Educatum. The term educare means to nourish or to bring up. Educere means to lead forth or draw out. Educatum is a Latin word composed of two terms , “E” and “Duco”. “E” refers to a movement from inward to outward. “Duco” means to develop or progress. Education is the process of facilitating learning. Knowledge, skills, values, beliefs and habits are learned through storytelling, discussion, teaching, training or research. Traditionally, learning takes place under the guidance of trained educators in a school setting. It is also possible for learners to educate themselves through a process called autodidactic learning or self education. The process of learning is natural for sentient beings. All living things learn and assess their world in their own unique way.Any experience that an individual has can potentially have a formative effect on the way that person thinks, feels or acts. This process can therefore be considered educational. The ideal education is most effective in transferring desirable knowledge, developing skills, discovering interests, establishing attitudes and fostering the growth of critical thinking skills. True education seeks to nourish the positive qualities in a person as well as draw out the best in every individual. It seeks to tap into in order to bring forth the inner capacities of a human being. It is through education that one develops an understanding of the deeper things in life, cause and effect relationships as well as complex human relations. Education is necessary for self realization. Self realization is necessary for living our best life. This is key for true enlightenment. It is education that differentiates us from savages. We are each unique aspects of the “whole”. We are one with an abundant universe that is discovering itself through our individual experiences. There is no greater opportunity to have a more fulfilling life experience than through the process of education. For an education to be most effective, each of us is called to take an active role in our own unfolding. We have the ability to tap into our own unique “genius”. Do not be fooled to think that this opportunity is limited to a select few. You have a significant role to play in this theater of life. Only you can determine what that role is. For the sake of review, what is your most valuable tool? Education is the key. Make the decision today that you will be a mental slave no longer. You are not going to allow outside sources to determine your self worth. You have unquantifiable value. Educate yourself on the topics that interests you. You have a calling. No one else can answer it for you. Dedicate yourself to your unfolding like the rare ,unique “flower” that you are…. I have a question for you. What would you do without labels? How would you see yourself? Where would you live? Who would you be? We tend to allow labels to define us. We identify ourselves with labels. We not only use our labels to identify us , but our world as well as the people living in it. Labels can help us feel important. They can also be used to isolate us. Based on our labels, they can determine whether or not we feel worthy or not. WORTHY OF WHAT!!!? Who decides? Black,white, fat , skinny, gay, straight, bi, rich , poor, smart, beautiful, ugly…. and on and on and on and on.. When does it end?!! ENOUGH!! Freedom is your birthright. Slavery in any firm, regardless of how subtle, is unnatural. There was no mistake made with you. There is no amount of currency or precious metal that can even come close to determining your true value. You are part of the universe. You are one with it. Actually you are the universe experiencing itself. You realm of influence even goes beyond that point. You , as we each are, limitless and eternal. You are all powerful, infinite, omnipotent, omniscient spirit having a finite, human experience. Despite the appearance of aging, you are limited by time. Time as we know it is a human construct. In case you didn’t know, now you know. Since you have all of this going for you , why limit yourself to some damn label? Allow nothing “outside” of you to determine your self worth. Limitlessness transcends the concept of value. Value is linked to limitation. Once there is a dollar amount tied to something, limits are set around it’s value. You are invaluable. We tend to accept the labels that have been given to us for better or worse. Part of your purpose here for being human is to first experience. After a certain number of experiences, ideally, you awaken to the fact that there is more to life than your experiences. It is intrinsic for us to search for meaning. We start to ask the age old question, “Why am I here ? What is my purpose? thecou22 on A Synopsis of “The Seven Laws of Success”. DonaldFaums on A Synopsis of “The Seven Laws of Success”. Copyright © 2019 thecourage2beauthentic.com All Rights Reserved.